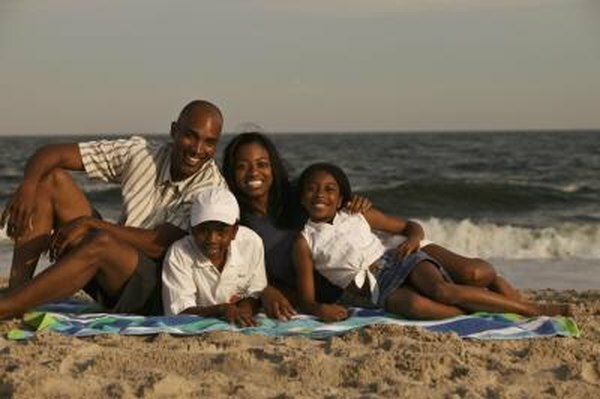 Buying life insurance won't always be a day at the beach, but it doesn't have to be quicksand. 1. How Many Life Insurance Policies Can One Person Have? 3. Is it Worth Getting Mortgage, Life and Disability Insurance? Buying life insurance is no picnic, but if you know the most common pitfalls to watch out for, it can be less of a hassle. Having a basic understanding of how life insurance works and how to select the best coverage and insurance company for your needs can make buying life insurance more like a day at the beach than a trip through quicksand. One of the most common life insurance pitfalls for the first-time life insurance buyer is purchasing a policy without understanding it. Most life insurance policies are either term life policies, which simply provide coverage for a specific term -- i.e. 20 or 30 years -- or whole life policies, which insure covered buyers indefinitely, and gain cash value. More than one term life policy buyer has been disappointed to find that the premiums paid on a 20-year policy have not gained cash value throughout the life of the policy. Read the fine print, ask lots of questions and make sure you understand the type of policy you're purchasing before you sign the dotted line. A $100,000 or $200,000 life insurance policy may seem like a huge amount of money for your beneficiaries, but if you've left your loved ones with a mortgage, an upside-down car loan, children to put through college or other significant expenses, even six figures can disappear rapidly. Before you buy life insurance, get a realistic idea of what your loved ones would need from your policy in order to be solvent. Take into consideration all debts and other financial obligations, and come up with a dollar amount in order to purchase the right amount of coverage. As you pass through stages of your life, your insurance needs change. Assuming that the life insurance policy you purchased 10 or even five years ago is sufficient is a common pitfall, but one that's easily remedied. Paying for more coverage than you need once your biggest financial obligations are fulfilled makes as little sense financially as leaving your loved ones vulnerable by not buying enough life insurance. Reassess your life insurance needs each time you have a major change in your life, whether it's purchasing a home or paying off your mortgage, having children or finally getting an empty nest. Advertisements for cheap life insurance are a staple of junk mail and Internet pop-up ads, and like you've always heard, if it seems too good to be true, it probably is. Don't purchase life insurance until you've done your homework on the insurer. Check with the Better Business Bureau and your state department of insurance to make sure the insurance company is licensed and in good standing. Otherwise, you risk throwing your money away on coverage that may not come through when your loved ones need it. Bankrate.com: What Kind of Policy Do You Need? A writer and information professional, J.E. Cornett has a Bachelor of Arts in English from Lincoln Memorial University and a Master of Science in library and information science from the University of Kentucky. A former newspaper reporter with two Kentucky Press Association awards to her credit, she has over 10 years experience writing professionally. Does Disaster Mortgage Insurance Cover Spousal Death? What Is a Term Life Conversion Option? Can You Save Money on Your Insurance If Your Vehicle Is White? What Types of Changes in My Life Can Affect My Life Insurance? What Is the Basic Motivation for Saving? What Is Supplemental Term Life Insurance?